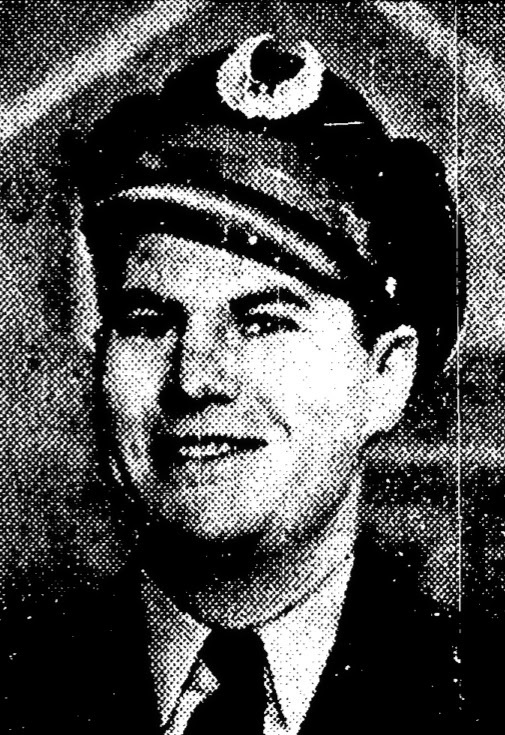 Clark Schiller Haas Jr. was born in Omaha, Nebraska, on July 21, 1919; His birth date is from the California Death Index at Ancestry.com. In the 1920 U.S. Federal Census, Haas was the only child of Clark and Mabel. His father was the owner of a suit shop. The family lived in Omaha at 135 North 34th Street. The 1930 census recorded Haas in Omaha at 1140 Turner Boulevard. His artistic talent was reported in the World-Herald (Omaha, Nebraska), September 2, 1934. Clark S. Haas, jr., 15, son of Mr. and Mrs. Clark S. Haas, South Turner boulevard, is attaining fame as a cartoonist, though he has had no training along this line. Last week when Arthur B. Dunbar, president of the Nebraska Association of Insurance agents, entertained officers of the association at an informal stag dinner at his home [and] much of the success of the dinner was due to Clark, jr.’s efforts. …Clark, jr., with just a gift for cartooning reproduced each to the life, although he knew not a one of them, from information gained a bit at a time from Mrs. Dunbar. Haas attended Central High School and, in the 1937 yearbook, he was in the Cadet Officers’ Club as Second Lieutenant of Company E.
The 1947 Clearwater, Florida, city directory, listed Haas as a cartoonist residing at 1160 1/2 Grove. In American Newspaper Comics (2012), Albert Becattini said Haas ghosted the Tim Tyler’s Luck dailies from November 5, 1945 to August 30, 1947, and the Sundays from January 13, 1946 to August 24, 1947. Haas produced the weekly strip, Sunnyside, for the Western Newspaper Union syndicate, from May 6, 1948 to March 29, 1952. Who’s Who of American Comics Books said Haas contributed material to comic book companies in the early 1950s. In 1959 Haas moved in the animation field starting with Clutch Cargo, which was produced by his company, Cambria Studios, in Los Angeles, California. Haas continued his work with Hanna-Barbera. Haas passed away January 18, 1978, in Los Angeles. Additional information about Haas can be found in a post I did on him on my blog last year.